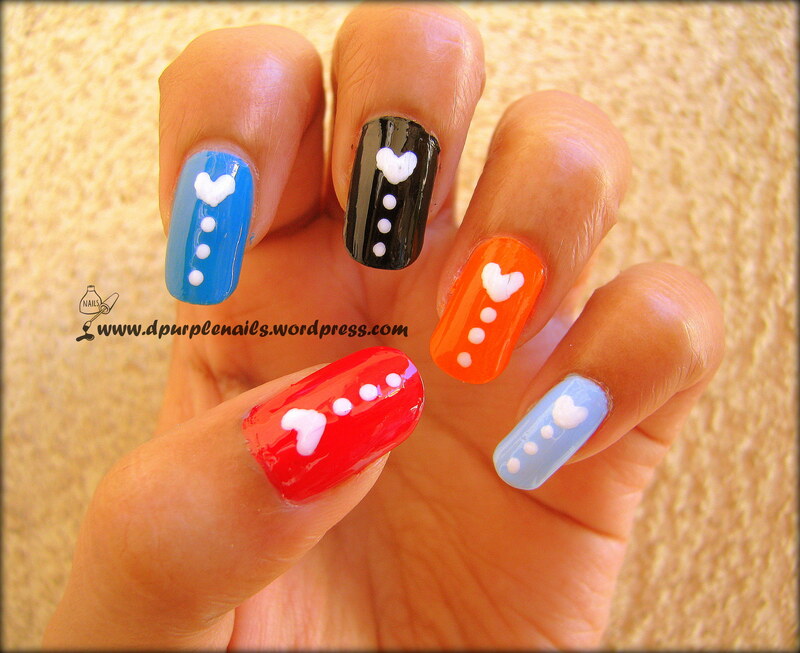 These are multi colored love nails, easy to create by using a tooth pick or dotting tool. 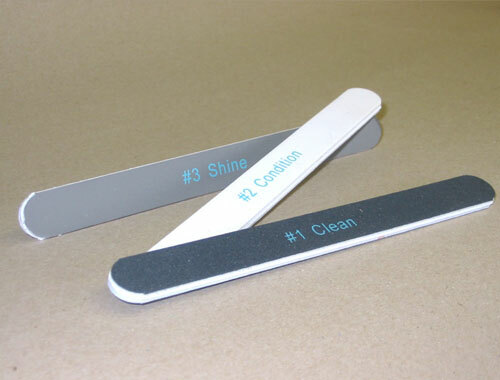 First paint your nails with different colored polishes and let it dry. Take white polish and a dotting tool and draw small hearts and 3 dots as shown in the picture and your design for Valentine’s day is ready. if you want you can only use Red or Pink instead of many colors. 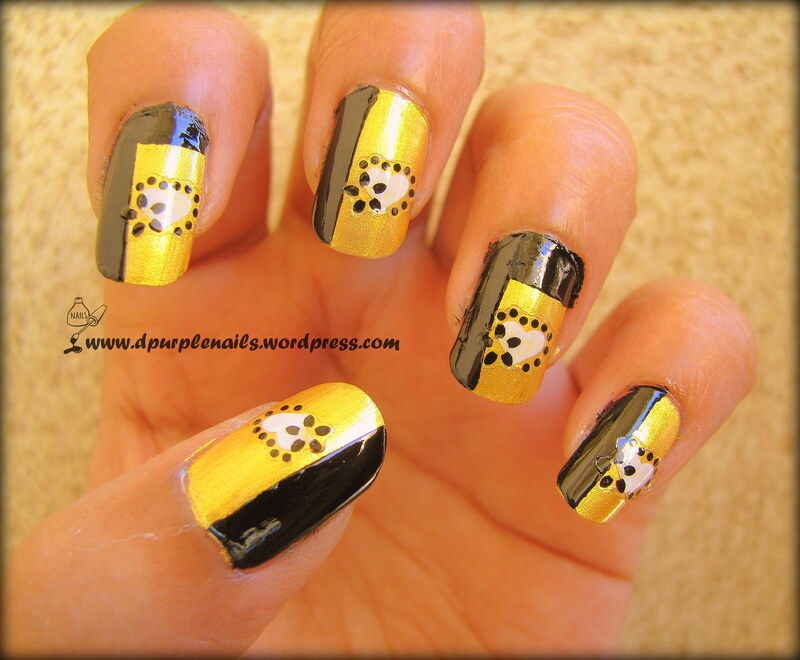 Recently I bought Gold nail polish so I wanted to do something with golden and black. I had these heart shaped flowery stickers to go with it. First apply gold polish and let it dry, later cover the part you don’t want to paint with a cello tape and apply black nail polish. 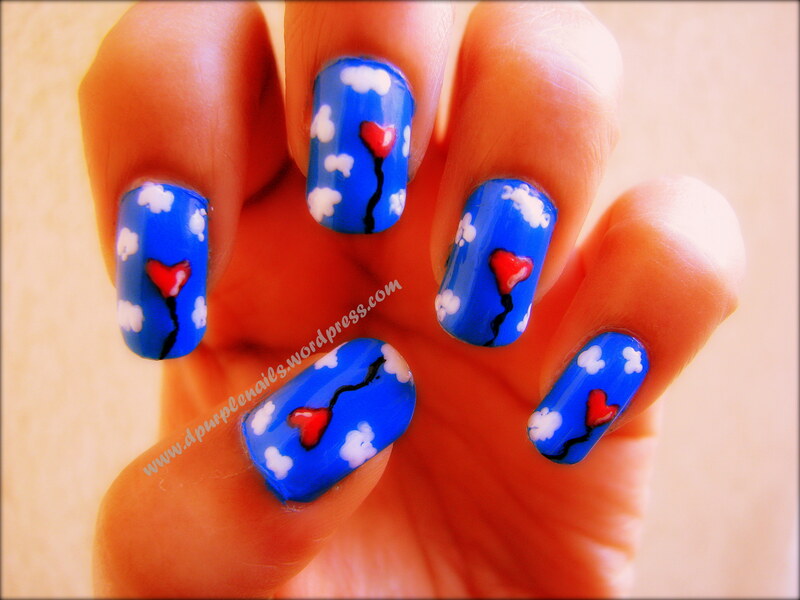 Then over the gold polish stick the heart stickers and this design is ready. If you want to wear something shiny on Valentine’s day golden heart nails are perfect choice. You can loose the black polish if you want more simple look. Here black came out little messy so it kinda spoiled the look, so if you don’t want black polish then you can leave it out from the design. 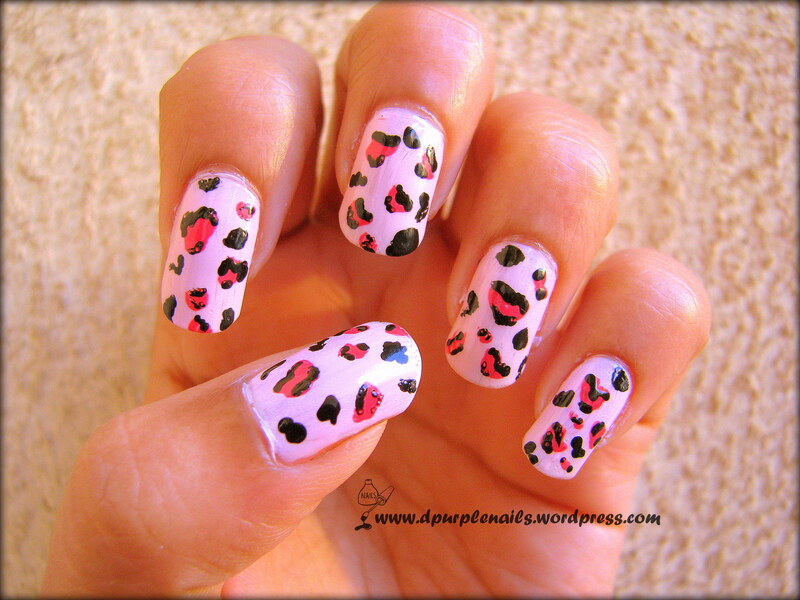 These are pink leopard nails, easy and suitable for Valentine’s day. 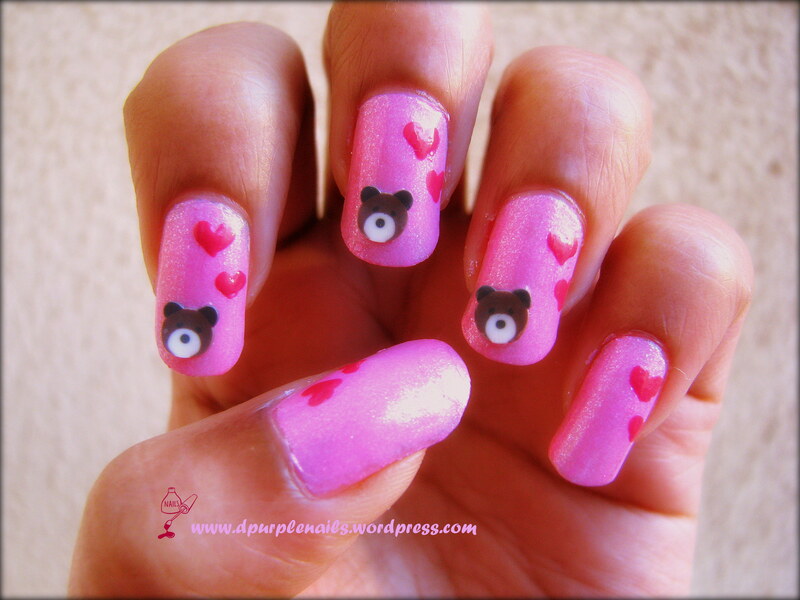 First paint your nails with light pink polish, then take dark pink and add random dots. Now on this dark pink dots with the help of tooth pick and black polish draw ”C” shapes and add random black dots to cover the space. You can also try with different colors but I wanted to do something with pink.